Another easy Friday night dinner. Between the holiday and testing recipes for a new cookbook, I needed something super easy. This marinade is courtesy of my friend Amy of From the Ground Up Wellness. It is oil free and it is unbelievably delicious! Thanks Amy. Tonight I had kale and cooked quinoa in the refrigerator and so that was in my bowl. But you can make whatever you want. Cube tempeh. Steam the tempeh in water for 10 minutes. Let cool. Mince the garlic (or use a microplane) and add to a bowl. Add the rest of the ingredients and whisk together. Toss tempeh with marinade and let stand as long as you have time. Bake the tempeh in a 350 oven for 25 to 30 minutes. Bring a pot of water to a boil. Shred the kale and drop into the water and blanch the kale for 30 seconds. Drain. Mince the garlic. Add a tablespoon of water to a skillet. Cook the garlic on a low flame until fragrant. Add the kale and quinoa and mix together until heated through. 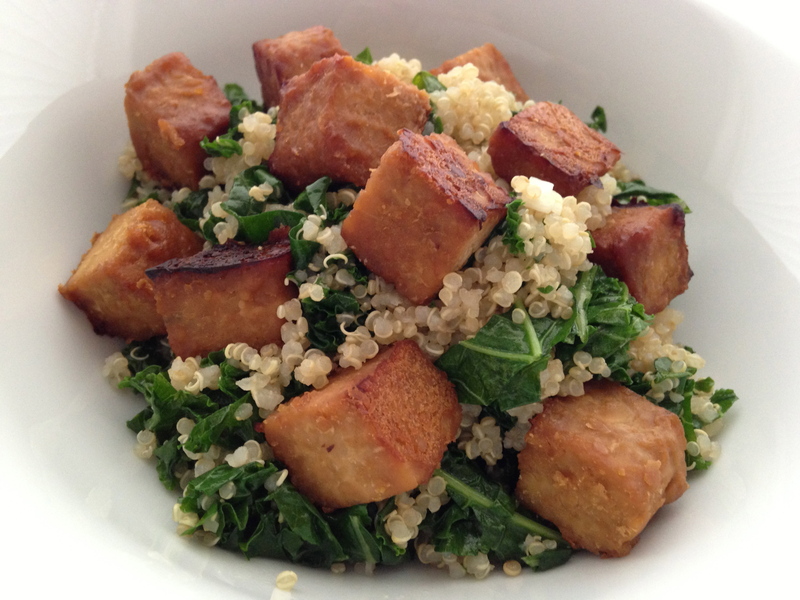 Place the kale and quinoa into a bowl and top with the the marinated tempeh. Enjoy! Thanks for the shout-out, lovely lady! I’m so glad these turned out. Marinated tempeh might be my most favorite thing to make in the world. 🙂 Happy weekend! How come I have never eaten tempeh? This looks really good and with a wonderful oil free marinade! Awesome!!! eat tempeh now! it is easy to make and really good with a lot of different marinades. 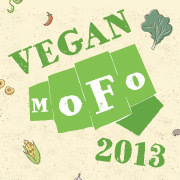 here is a link to a lot of my tempeh recipes!